Take this quiz, add up your score and then find your perfect makeup look below. If you chose mostly A you're real and radiant. You're laid back and relaxed and you like a makeup look and routine to match. Always On Point Eye Liner for smudgeproof and waterproof definition in classic shades. True Color Eyeshadow Single in 9 neutral shades with matte, shimmer or metallic finishes. True Color Wide Awake Mascara makes eye look bigger. True Color Lip Balm for a hint of tint and moisture on the go. If you chose mostly B you're fun and flirty. You like a subtle pop of color with a little gloss and sparkle. Ultra Glazewear Lip Gloss to top off your look with a little shine. If you choose mostly C you're bold and beautiful. You like to make a statement and your makeup should too. SuperExtend Precise Liquid Liner for 12 hours of mess-free, fade free wear. Ultra Color Bold Lipstick in 8 bold shades for any skin tone. SuperExtend Mascara to lengthen lashes. Beyond Color Lipstick with retinol and collagen to lips that look plumper and fuller. Big and Daring Volume Mascara for maximum volume. True Color Eyeshadow Quad with vibrant crease proof colors to design your perfect smoky eye. 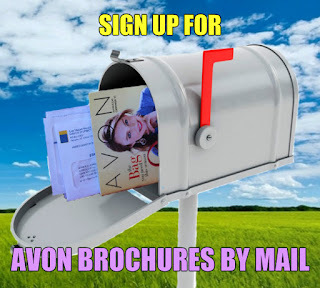 Quiz and product selections featured in Avon Campaign 2, 2017 brochure.